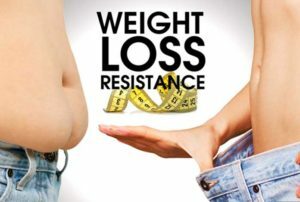 Do You Suffer From Weight Loss Resistance? Have you taken all the right steps? Have you eliminated toxic foods? Are you exercising regularly? Are you overall living a healthy lifestyle? Are you still struggling with losing weight? You may be suffering from weight loss resistance. You also may be missing the nutrients your body needs to function correctly and you may have toxins from hidden sources that have built up over time. The less calories you take in and the more calories you burn the more weight you lose, right? Wrong, this is now considered an archaic model of metabolism. Eating Low-Fat and Low-Calorie may also mean that you are taking in low nutrient and high carbohydrate foods driving up your blood sugar and causing an inflammatory process in your body. These foods are often loaded with artificial fats and artificial flavorings and preservatives. They also contain genetically modified ingredients that are full of toxic pesticides and herbicides. 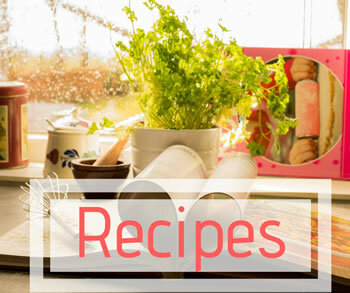 Often these foods are supplemented with synthetic vitamins and minerals. We don’t eat enough whole, unprocessed, nutrient-dense foods. We do eat too much high fructose corn syrup, refined flours, refined vegetable oils, trans fats and chemically enhanced, processed foods. These foods were not even in our diet as recent as 100 years ago. Our processed, inflammatory modern diet – which is relatively inexpensive and convenient because of government-subsidized crops like corn, soy and wheat – crowds out more nutrient-dense foods. Due to our eating habits and lifestyle we are developing nutritional imbalances and an increase toxins that build up in the cells. Studies show these toxicities and deficiencies are more widespread than you might imagine. Over 30 percent of American diets fall short of nutrients like Magnesium, Vitamin C, Vitamin E, and Vitamin A. Over 80 percent of Americans have low Vitamin D levels. Nine out of 10 people are deficient in Omega-3 fatty acids which, among other things, help reduce inflammation and control blood sugar levels. When it comes to toxins, they are almost impossible to avoid in todays environment especially when eating a standard American diet, getting vaccinated, taking medications and having mercury containing fillings in your mouth. There are steps you must take to get your hormone function and immune system back on track to reach your weight loss goals. Cellular toxicity is a contributing factor to, if not the source of, most of today’s chronic health conditions. Toxins can lead to systemic inflammation, dysregulate hormones, lead to water and fat storage and cause weight loss resistance. The word “detox” has become trendy, and you can buy systems that claim to cleanse virtually every organ of the body, from your liver to your colon. These products may do some short-term good, but most are ineffective, and many are borderline dangerous. None approach detoxification at a systemic cellular level. Remember, toxins can lead to weight loss resistance. Not only is it important to eliminate the toxins in your diet and environment, but also to find a way to get the toxins out that are already in your system. Seeking a practitioner knowledgeable in this subject would be advisable or consider our Complete Detox and Restore Program. When you do your grocery shopping stay on the outside of the store and focus on organic and grass-fed items. Focus on eating whole, unprocessed foods such as vegetables, fruits, nuts and seeds that are rich in vitamins, minerals, antioxidants, anti-inflammatory compounds, fiber and essential fatty acids. Get most of your healthy dietary fat from extra-virgin olive oil, coconut oil, nuts and seeds. Avoid refined vegetable oils like canola and soybean oils, as well as trans fats. Butter and Ghee from a grass-fed source is also a good option for healthy fats. Some protein at meals stabilizes blood sugar and helps you lose weight, but not too much. Your body can not store protein, so any excess that your body can’t use is converted to sugar. The amount you need will depend on your size, muscle mass and activity level. Good sources include small, cold-water fish that don’t contain high levels of metals and other contaminants. Wild game such as elk and deer are other rich proteins sources that contain omega-3s and other healthy fats. Many grocery stores now sell healthier protein options including bison, grass-fed beef pastured chicken and free range eggs. Make sure you are using the correct nutrients such as digestive enzymes before meals, probiotics, Fish Oils, and others that you might need. Having a nutrition consult can help ensure that you are choosing the correct healthy options for your body. Chronic stress and inadequate sleep deplete nutrients and effects how your body detoxifies, as well as how your body heals itself. Just get moving, whatever you are comfortable with for at least 30 minutes each day, exercise is essential in order to sleep better, digest food better,balanced blood sugar, relieve stress, rid your body of toxins and balance hormones. For most individual these steps should set your body on the right course to healing. If you still have concerns about weight loss resistance, feel free sign up for one of our webinars, an in-office workshop about our Complete Cellular Detox plans, or schedule a consultation with the doctor.